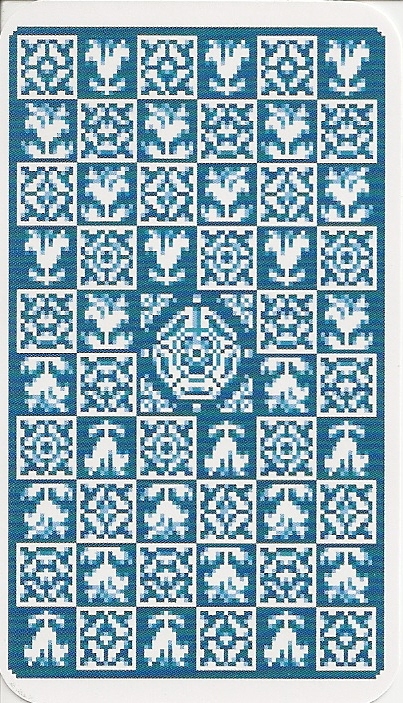 Small Waite-Smith based deck, with cards looking as if they had been designed for a video game. 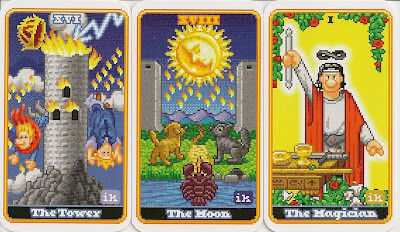 The images were rendered at a resolution of 88x152 pixels, using the same 256 colors that were the standard system palette on the Macintosh. 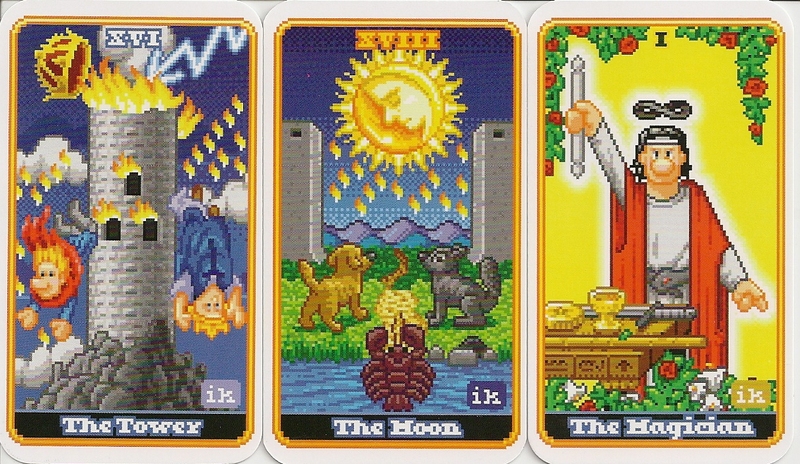 The cards come in a brown lidded cardboard box decorated with blocky 8-bit illustrations. They are business-card sized (2"x3.5") with rounded corners and UV-coating. There was a numbered edition of 100 as deck in progress and another unnumbered edition of 900 as complete deck with a different back design, mine is one of those.